Shipping containers can be utilized for many farm and agricultural processes. 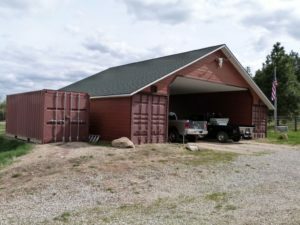 Recently there has been a rise in farms and vineyards purchasing shipping containers (also known as sea cans, or conex boxes) for farm storage. Customized 40 ft unit at Bond Industrial. One part stores pesticides and canola seeds. An added wall creates a separate “office” for farm paperwork. 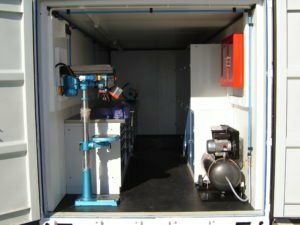 With a generator, you can turn containers into on-site workshops or sleeping quarters during planting and harvest seasons. Our containers make excellent farm storage for a number of reasons. The most popular reason? 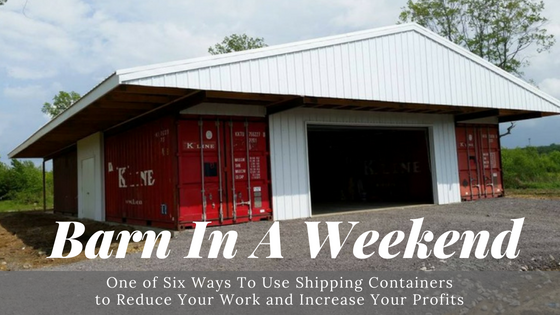 Shipping containers offer sturdy, economical, and portable storage. They offer a perfect solution to farmers, vineyard owners, and ranchers looking for harvest overflow storage. Some agricultural businesses use containers to declutter and clean out their barn and make some much-needed space! Some farms like having a separate, portable workshop for around the farm projects. Shipping Container Portable Workshop or Machine Shop – Can be set up anywhere you need it. 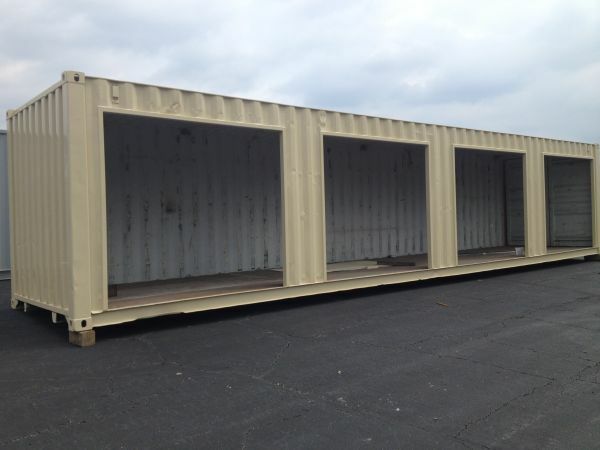 At ContainersEZ, we set standards for quality of the containers we sell. 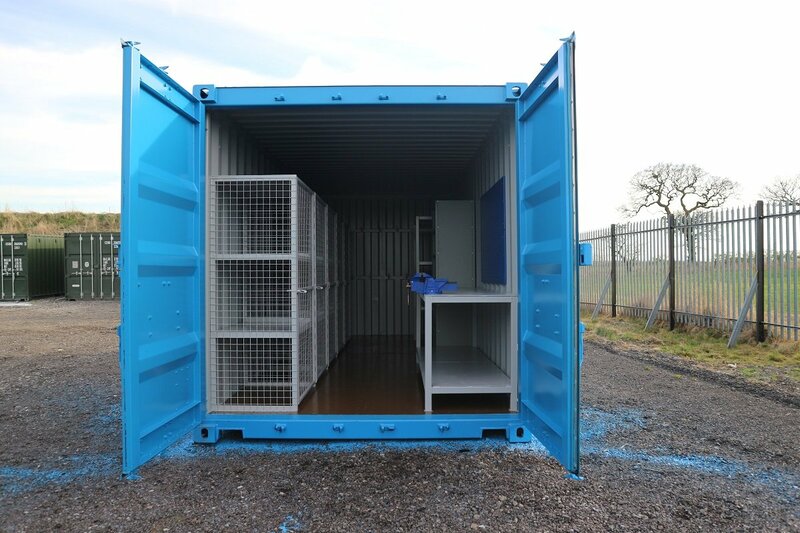 All of our containers come with our leak-proof guarantee (18-months guarantee for used containers and 5-years for new containers). All our used containers meet a minimum 2-star rating, while many are rated 3-star or 3-star+. Our shipping containers rodent-proof and leak-proof – perfect for protecting an overflow harvest, animal feed, and specialty equipment. Shipping containers purchased for farm, ranches, and agricultural purposes are most commonly Used Shipping Containers or New/1-Trip Containers. a refrigerated container is a better choice.Refrigerated containers are a terrific choice for keeping produce, grains, and temperature sensitive beverages chilled. These insulated containers come with heavy-duty cooling systems and require a 50-amp electrical connection. Below is a review of our most-popular choices for farms, ranches, and vineyards – new containers and used containers. 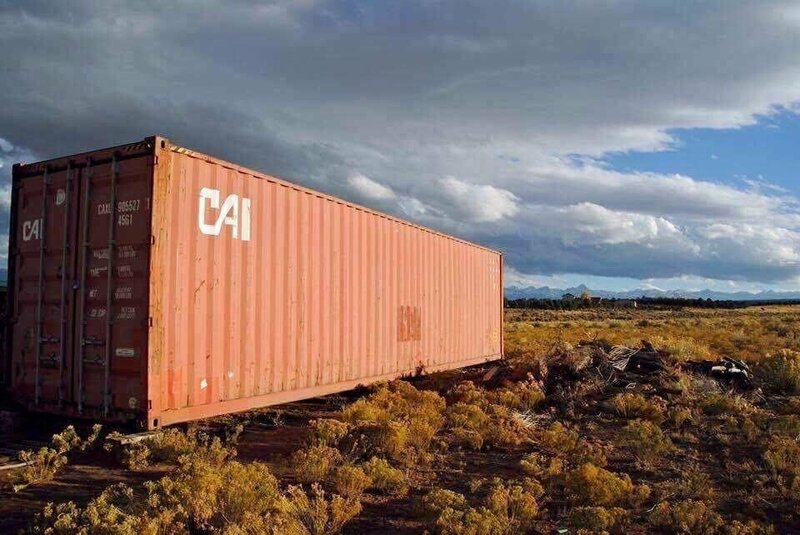 Containers can be modified to suit. Insulation can be added, roll-up doors added, man-doors added, ceiling vents added, and A/C holes cut out and ready for your A/C unit installation. Lighting and electrical can be added as well. How Do Farms Use Shipping Containers? We have a few amazing examples. 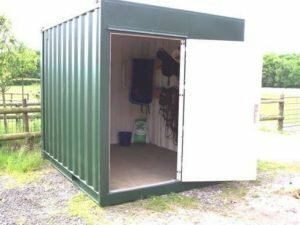 From animal stables (horse stables, sheep stables, and pig pens), to farm storage, to a portable workshop, a horse tack room, and even a full-on barn – farms, ranches, and vineyards get creative with shipping containers for their agricultural businesses. Shipping Container Barn. 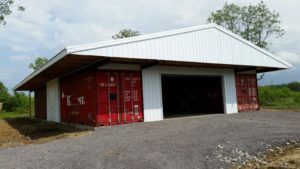 Two 40ft Shipping Containers plus an added roof gives you a full barn without a full barn build. 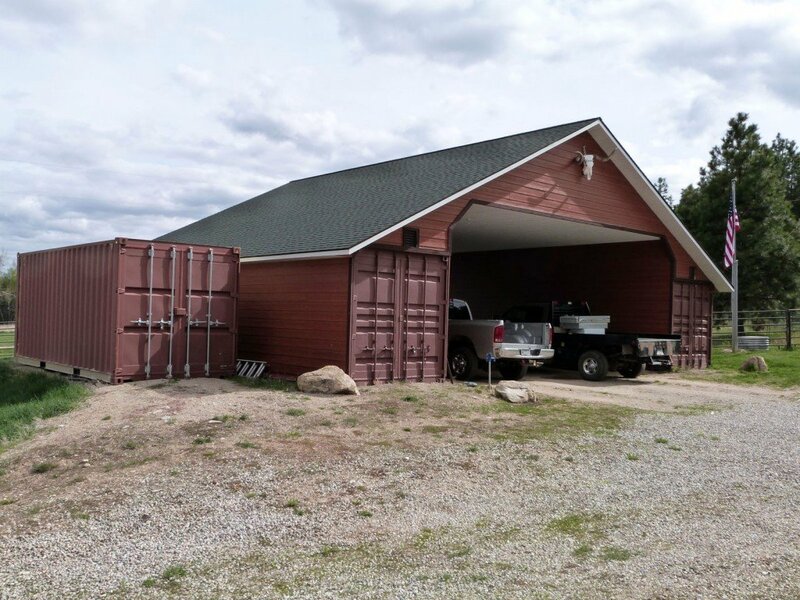 This farmer also added an extra 20ft shipping container for additional storage. We LOVE this Shipping Container Barn by Bending Oak Farm! If you would like an EZ No-Hassle quote on one (or more) of our shipping container units, please contact us now. 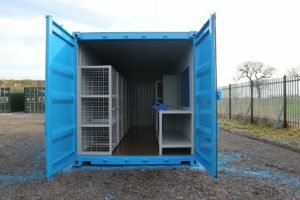 We’d be happy to help you find the right container for your needs.